How to Turn Relationships into Big Business through Golf — In Short, Golf has the Incredible Power to Change Your Life, Whether You Play the Game or Not! 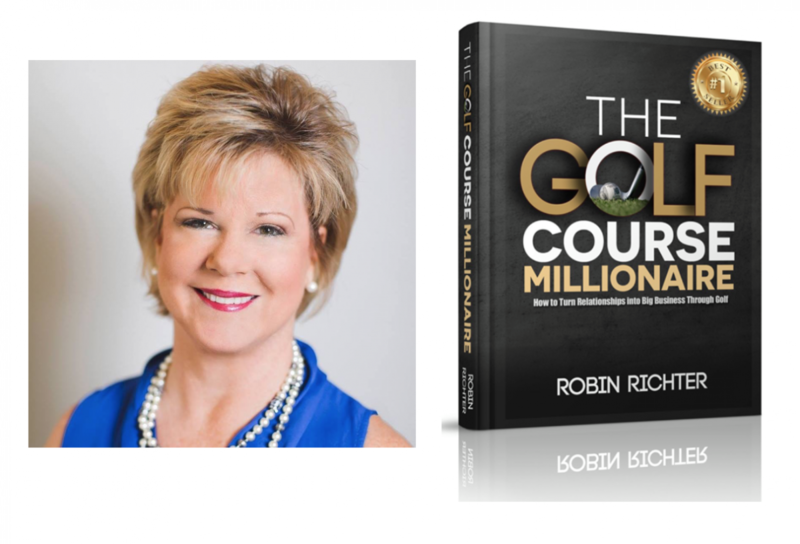 In her new book, Robin shares how the game of golf can lead to fulfillment both on the course and off; in business and in personal relationships. If you’re an avid golfer, this book will help you use the sport to improve your life. If you don’t play golf, Robin provides ways to use golf to connect with influencers! Robin was inspired to write this book because of the major impact golf has had on her life. After attending Long Beach State on a golf scholarship, Robin went on to play professionally. In 1992, Robin successfully used golf to launch her promotional products company, Wearable Imaging, Inc. Since then, Wearable Imaging has experienced significant growth. Wearable Imaging works with top clients such as Honda, Toyota, Lexus, Alzheimer’s Orange County, Southern California Edison and ABC’s Grey’s Anatomy. Wearable Imaging specializes in maximizing their clients’ brand exposure and helping businesses stand out in the marketplace. Today, golf is still a major part of Robin’s life. She participates in numerous charity golf tournaments and plays regularly with the ladies in the Executive Women’s Golf Association (EWGA) and Women On Course (WOC). Robin is so thankful for the amazing opportunities that have come her way because of golf. Not only has golf contributed to the success of her business, it has led to many amazing personal relationships! Hello! I simply wish to give a huge thumbs up for the great info you’ve here on this post. I will be coming back to your weblog for more soon. Previous Previous post: 5 Reasons Why Coffee is Good for Your Health! Next Next post: 5 Branded Pens That Will Make Your Business Stand Out!